Running a business is no joke. There is a lot to know and sometimes it changes faster than we can keep up. But fortunately there are also tons of resources online that can help keep us up-to-date on the latest news. They can also be great references or provide tools that can help us with both trade- and business-related needs. Here are some of our favourite sites, divided into sections according to what they’re most useful for. Some are industry-specific to cement and concrete work, while others are about related topics or even have broader appeal. But they’ll help give you a leg up on ideas and best practices in stamped concrete for sure! Concrete Network is aimed not only at contractors but also homeowners and suppliers. This site is specifically about decorative concrete, and it’s loaded with photos. So it’s a great source for ideas for projects for both you and your clients! There are a number of great sections on the site, including a “Find the Contractor” tool for potential clients. There is also an extensive section of links to sellers of various supplies. And of course one of the greatest parts is the gallery of many types of decorative concrete, including both indoor and outdoor projects. There are also sections explaining introductory concepts, including a basic explanation of concrete and repair tips. Finally, there’s a great section with links to trainings and industry events. The American Concrete Institute dates all the way back to 1906. They are dedicated to all aspects of concrete construction. On their website you’ll find access to their journals which offer reports and articles on specific aspects of concrete construction. They also offer manuals and guides to specific areas of work through their online store. ACI also provides certification. In some jurisdictions, this certification is required for work. You can find resources for study and information on how to take certification exams on this site. PCA offers great reports and articles on the state of the industry, advocacy for sustainability, background articles on types of cement and even some “toolkits” that even include social media graphics you can use. 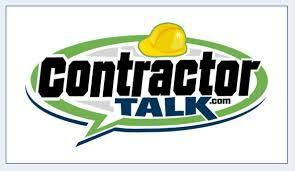 Contractor Talk is, more than anything else, a forum for contractors of all stripes. It does offer a blog that has some really good articles, but the most valuable piece is the conversations you can engage in with others in your own field or contracting in general. (We’re trying to be careful here to distinguish this from “general contractors” – this is for any type of contractor, not just general contractors). You can post a question, whether it’s for advice on how to handle a tough project or opinions on work practices, state laws or anything else that comes to mind related to work. Or you can contribute your answers. There’s great advice at times, and some interesting discussions. But it can lead to new learning experiences and even getting to know more people dealing with the same issues you are. In general, we like to make sure the sites we recommend are still being updated. This is an exception. ConstructionKnowledge.net looks like it went on an extended hiatus beginning around 2013. However, it has a great store of general knowledge for a variety of trades. Most of the information remains the same. This site would actually be great “suggested reading” for an apprentice in concrete or in any of the other trades covered. It presents ideas and methods from the ground up. It can also be a good refresher for all us. And it includes sections on people skills and business practices to help us brush up in those areas as well. Safety and health regulations are essential while on the job. While at times they might seem to be designed to make life difficult and bureaucratic, the rules do help us be sure we and our employees can return home safely at the end of the day. This page provides links to federal and provincial offices and law regarding occupational safety. In the United States, occupational safety and health issues are regulated by OSHA, which is under the Department of Labor. ENR is a great, in-depth site with news and tools for all aspects of engineering and construction. However, we’ve linked specifically to their section on economics. Here you can find reports about average costs of construction in major cities in the US as well as other reports and studies. It will help keep you abreast of what’s going on and aware of current rates and news. Reddit is entirely created by users. It’s a huge forum with minimal formatting. It’s drawn fire for some of the extremist views that get published on the site, but it also has tons of useful conversations. 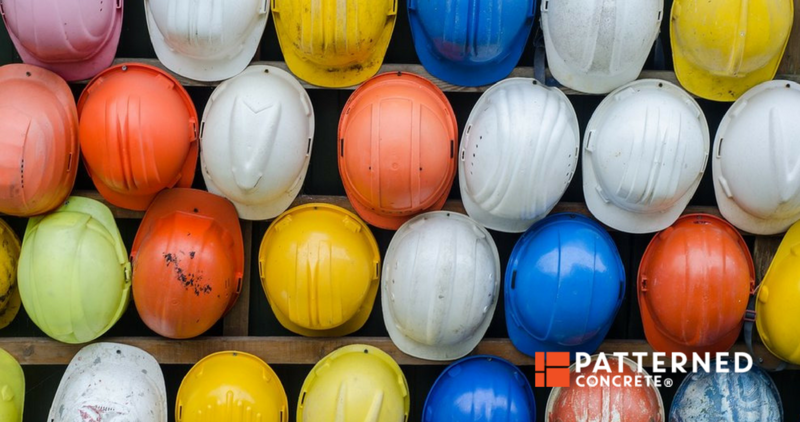 The Construction thread is designed specifically for contractors and you can participate in the conversation, getting a lot of useful input from peers. This professional social network is another place with great forums. It’s a bit fancier than Reddit or Construction Talk, but you can participate in the same type of quality conversations with thousands of other contractors. By joining this group you’ll be able to enjoy both articles and forum conversations. Houzz is basically a social network aimed at homeowners, renters and anyway interested in interior or exterior design. Not only does it provide huge photos galleries covering any aspect of home decor that you can imagine, it also has a huge library of connections to contractors, stores and showrooms where you can buy necessary supplies. It’s regionalized, so based on where you connect from it will give you information relevant to the US, Canada or about eight other countries. Founded in 2008, it’s now reached about 30 million visits a month. It’s definitely shown its worth. It’s a great place to find ideas and to have your business found! Country Living has long been a great source of ideas for the home, inside and out. They cover ideas for design and decor as well as repairs and maintenance. They even include recipes! Of course, you can tell from the name the general style you’ll find on the site. But they cover it extensively and with class. This site will surely inspire some wonderful ideas! HGTV’s website, like the television channel, offers fantastic and highly-visual content to inspire your creativity inside and outside your home. Of course the site is closely connected with their programming but also offers more in-depth ideas of how to bring that “something special” to a living space. It can provide a lot of fantastic inspiration for you to go over with clients. Here’s another great source for finding ideas for the interior and exterior. Dedicated mainly to the lifestyle of the 13 Western states of the US, the ideas you can find here can generally be applied anywhere in North America or elsewhere. You’ll love their great photo and suggestions! Home BNC offers great and often simple ideas for improving your home decor. With sections on kitchen, bathroom, storage, garden and more, you’ll find great photos and thoughts about how to make the home look better. It then becomes easy to combine these ideas with the services you offer to create a super package for your clients! The site Construction Marketing helps fill a need in your marketing, especially if you aren’t great about taking photos of your projects. You can contact them to use photos from their large library at no cost. The photos can be used in print or online publications. All you have to do is mention their site or provide a link. Since 2009, the Construction Marketing Association has been offering training and certification in marketing specifically related to the construction industries. This organization is helpful in two ways. You can learn how to market to consumers, but also learn the techniques of business-to-business marketing. Together these will help you make important connections and find new opportunities for projects. This is more a link for a single post than a site. But this article offers some great ideas for blog topics for your website. Blogging is one of the best ways to get found in search results. Writing can be tough and time-consuming. But even harder than the actual writing, the issue is sometimes getting ideas of what to write about. This article from Blue Corona offers some great themes that are flexible and can help create numerous articles to attract readers to your site. We have to admit there are tons of online calculators out there that will figure out the volume of concrete you need, and even convert that into the number of bags you need. We like the one at Calculator Soup, though, for a couple reasons. This calculator, although it has a simple layout and ads on the page, allows you to easily use mixed units – feet, yards and meters. It will automatically handle the conversions. It also lets you choose among various types of of projects: square or round, walls or a variety of others. Finally, you can add a cost per bag and it will include the total cost in the final answer. That’s not to disparage other calculators that perform all or some of the same functions. There are many. We just liked the handiness of this one. Plus, if you need to calculate anything else, they offer hundreds of types of calculators on the same site. You might find an app on your smartphone more handy, though; we hope to review some of the best apps for concrete work soon! There’s no shortage of great resources available for your work in concrete or cement – or any other trade. We’ve chosen just a few of our favourites, and we know there are many other great ones out there. What about you – which sites do you prefer? Whether you’re a seasoned business owner, experienced concrete professional or simply an individual interested in joining a well-established industry, we believe in you, and we will help you achieve your next level of success.